Mrs. L.M. 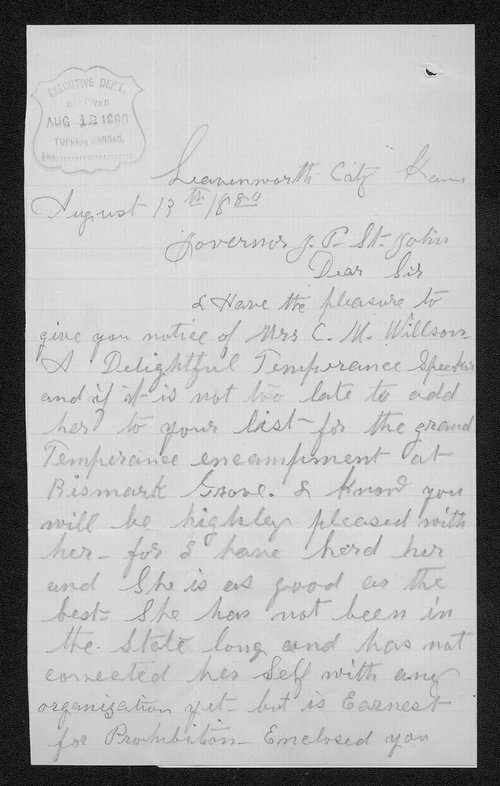 Flack from Leavenworth, Kansas, sent a letter to Kansas Governor St. John endorsing Mrs. C.M. Willson, a temperance supporter and lecturer. Flack would like Willson added to the list of speakers for the Bismark Grove (Douglas County) rally, stating "she is as good as the best."